Tag Archive | "lightest touch ultrabook"
A 1KG Ultrabook is an engineering feat. The Toshiba Z830, at 1.1KG still surprises 2 years after launch. Since then though we haven’t seen many attempt to break the 2.2 pound mark. Only the NEC Lavie Z, an expensive Asia-only model, and the almost unknown Inhon Blade Carbon have launched in the 13.3” bracket. The Sony Vaio Pro 13 is a far more globally available product though. 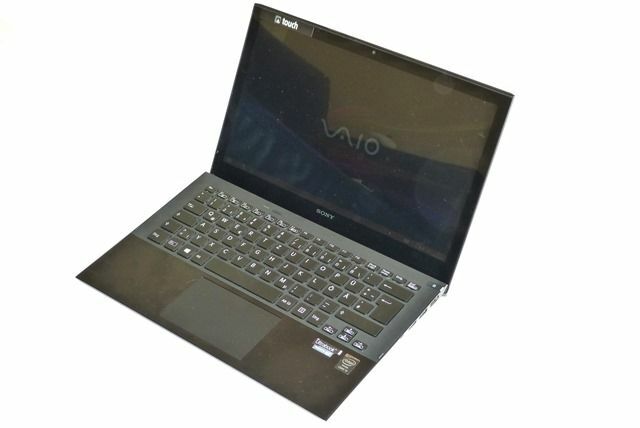 It’s not only lightweight, it offers a FullHD Sony Triluminous touchscreen, a good set of specifications and, although the battery is smaller than your average Ultrabook battery of 2012, good battery life. The Haswell CPU is responsible for that, and some good performance figures. At the extremes of tight engineering one often finds a few issues of note and that’s the case with the Sony Vaio Pro 13. You’ll have to accept a few of those if you want the lightest 13.3-inch Haswell-based touch Ultrabook on the market. Read more in the full review below.